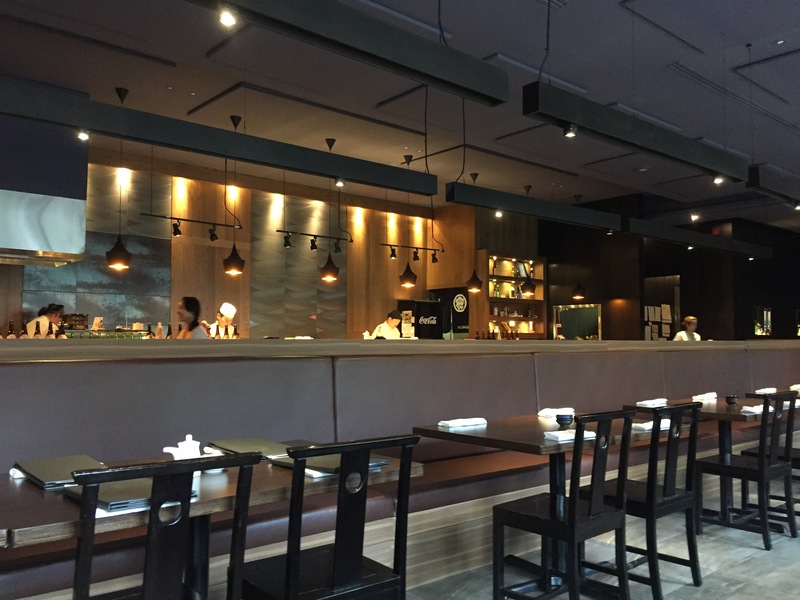 Yutaka Japanese Cuisine is a great restaurant located in Toronto. We enjoyed different sushi meals that were all excellent. A good quality meal at a decent price. We shared a dynamite roll which was excellent! Topped with tempura bits and a drizzle of spicy sauce, the dynamite roll had great flavour with a nice touch of crunch. 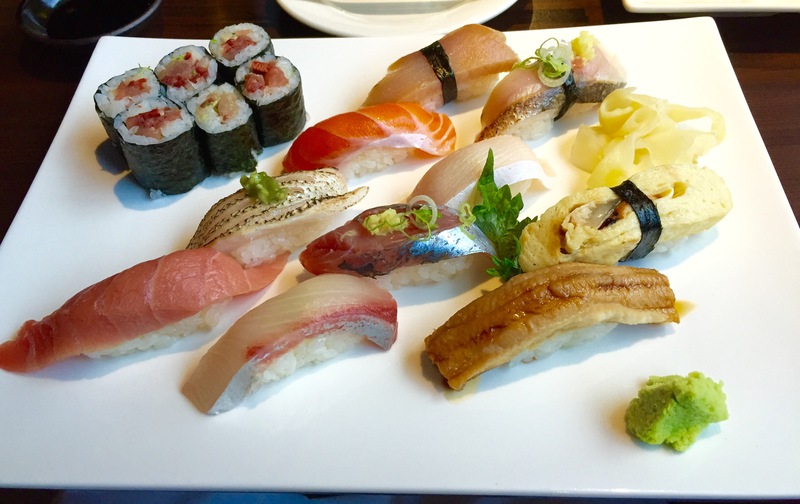 I enjoyed the Chef’s Sushi Dinner. Served with miso soup and salad, the dinner includes ten pieces of special selection sushi and six pieces of small rolls with maguro (tuna) inside. The rice could have used a bit more sushi vinegar and if handled a bit did fall apart easily. However, sushi is to be handled gently so when done properly there was no issue. I used a piece of ginger to dip into the shoyu (soy sauce) and flavour the fish. The only time the rice fell apart was when I tried flipping a piece upside down to dip into the shoyu directly (to not get any shoyu on the rice). Since that did not work well I resumed the original method. 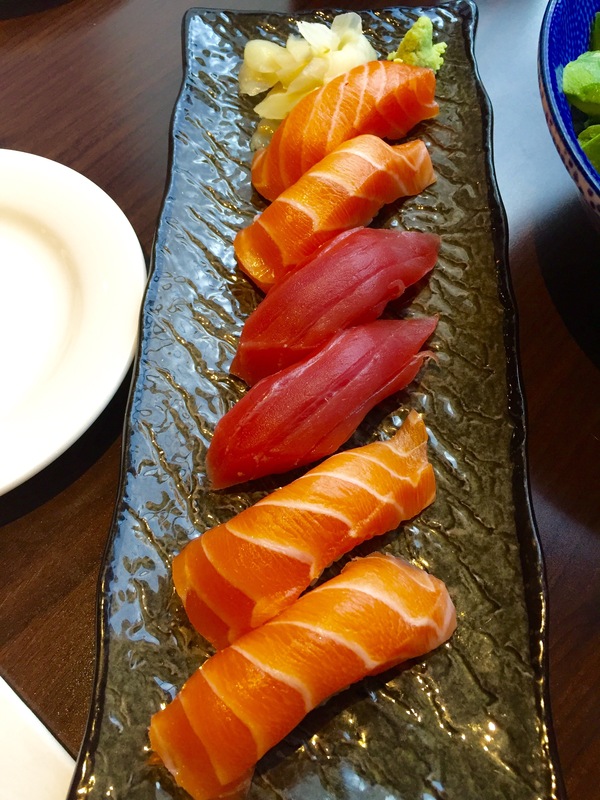 Deniz enjoyed selecting maguro (tuna) and sake (salmon) sushi a la cart, along with a salad. Over-all, we highly recommend Yukata. We thoroughly enjoyed our meal. 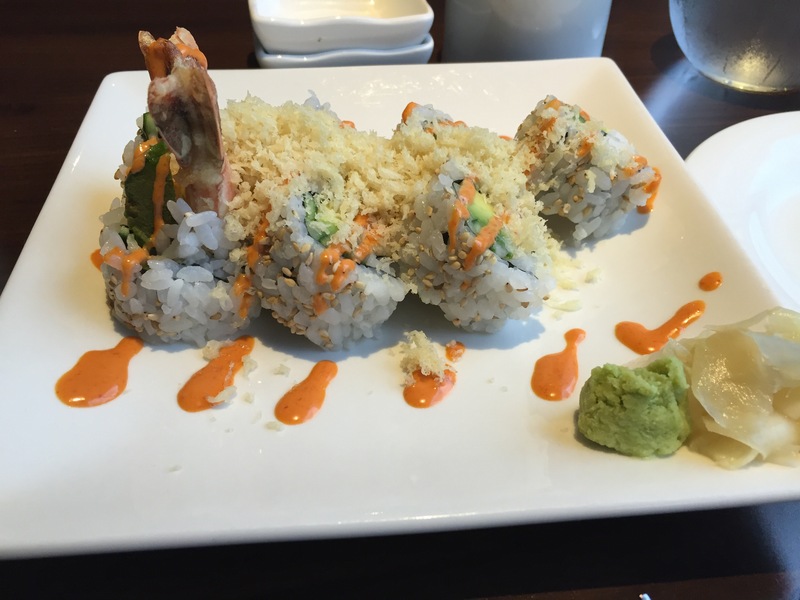 Great sushi at a reasonable price. As mentioned earlier, the rice could have been a bit better but the cuts and selection of fish used were of very good quality. Very nice atmosphere inside with modern Japanese music playing. A very nice ambiance for a great dining experience.